For (as far as this world is concerned) you have died, and your (new, real) life is hidden with Christ in God. 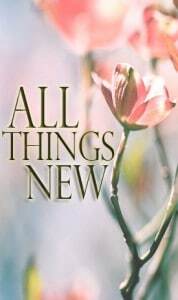 When you are born again you receive a new self, a new creation, a new being. Can you define it? Probably not. Can you “feel” it? Not always, much of the time you will feel “old.” Others will see the new self more than you. Body life is supposed to encourage everyone, as the new being is manifested. Your “new real self” is hidden. The word means secret. The new self belongs in and lives in the unseen realm. It is lived by faith that because God said it, it is fully in existence—and by faith, you can enjoy being and discovering who God dreamed when He created you!